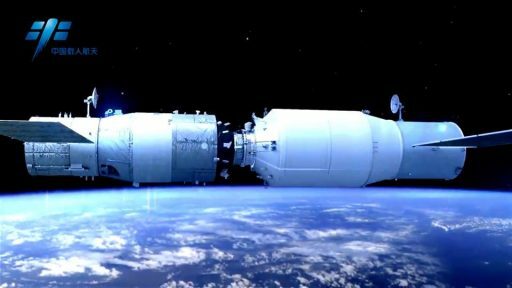 According to the China Manned Space Engineering Office, Tianzhou-1 was removed from orbit at 10 UTC on Friday via re-entry over the Pacific Ocean, capping a flight of 155 days that saw the spacecraft link-up with the Tiangong-2 orbiting space laboratory on three separate occasions and leave the complex with full propellant tanks for its extended solo mission. Tianzhou-1 – the “Heavenly Vessel” – represented the last major preparatory step in a gradual progress toward the deployment of a large space station to serve as a permanent outpost in space for ground-breaking science and as stepping stone toward human exploration of the solar system. 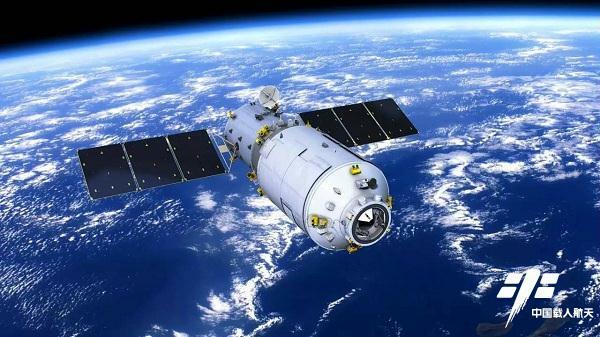 With this critical demonstration mission reaching a successful conclusion, China now has all the tools to deploy and sustain a large modular station over an extended period of time, having demonstrated human launch capability, manual and automated rendezvous in Low Earth Orbit, human habitation in space and an operational system for ferrying cargo and fuel from Earth to an orbiting station. Initiated in 1992 under the code name Project 921-2, China’s crewed space program was lined out as a three-phase process: Phase 1 was successfully completed with China’s first crewed space mission in 2003 when Yang Liwei spent 21 hours in orbit aboard the Shenzhou 5 spacecraft to demonstrate China could launch humans into space. The second phase of the program was dedicated to learning all the tools needed for the operation of a large space station, notably rendezvous and docking in orbit, sustaining humans over a medium-duration mission, proving the long-term operation of a space lab in orbit and testing a space-based cargo infrastructure. Phase 3 will be to deploy and operate the Chinese Space Station CSS. Phase 2 was centered around the two Tiangong modules launched in 2011 and 2016, serving as orbital test beds for the various objectives of the second phase. 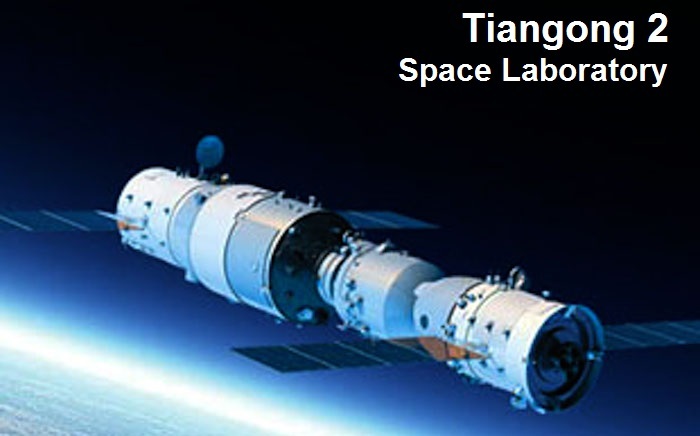 Tiangong-1 served as target vehicle for China’s first docking in space when the uncrewed Shenzhou-8 vehicle linked up with the laboratory module followed by the Shenzhou-9 and 10 missions in 2012 and 13 that each had three crew members spending eight and 12 days on the TG-1 complex, respectively. 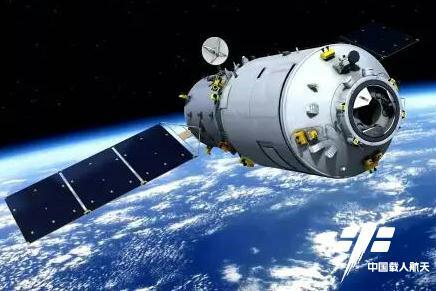 Tiangong-1, after demonstrating the longevity of China’s space laboratory modules, stopped working in late 2015 and is currently headed toward an uncontrolled re-entry early in 2018. 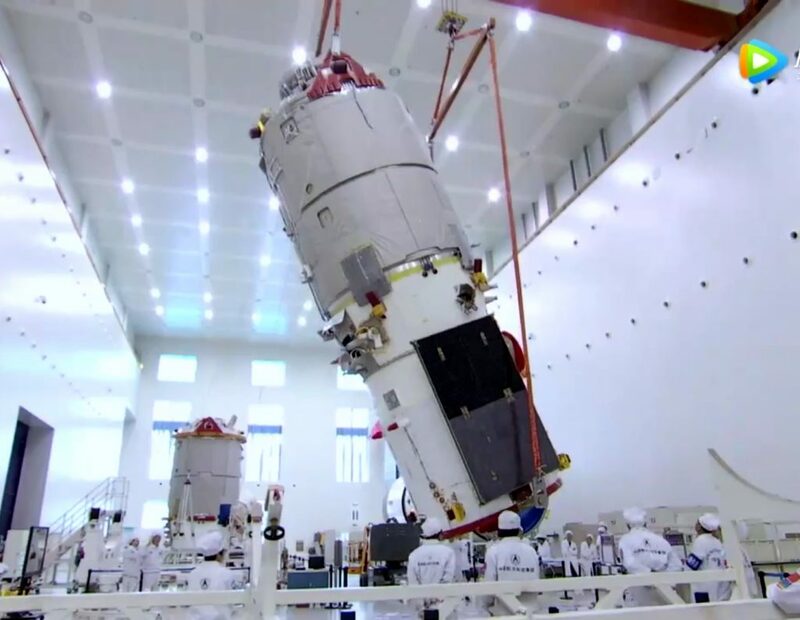 Its successor, Tiangong-2, implemented a number of changes to make life aboard the complex easier based on recommendations by the TG-1 crew members. Astronauts Jing Haipeng and Chen Dong visited Tiangong-2 in October aboard their Shenzhou-11 spacecraft, setting a new record for China’s longest crewed space mission and working through a busy schedule of scientific experiments. The mission of Tianzhou-1 was the final element to be demonstrated to ensure China had a way of hauling supplies, refueling propellant and external components to its large space station. China’s Heavenly Vessel measures over ten meters in length and has a diameter of 3.35 meters with a maximum launch mass around 13.5 metric tons and a cargo capacity of 6,500 Kilograms. Located in its aft Service Module are eight 230-liter propellant tanks holding roughly two metric tons to Monomethylhydrazine fuel and Nitrogen Tetroxide Oxidizer. Tianzhou-1 took flight on April 20, 2017 atop the second Long March 7 rocket that will ultimately become China’s workhorse for Low Earth Orbit logistics and satellite deliveries to Sun Synchronous and Geostationary Transfer Orbit. 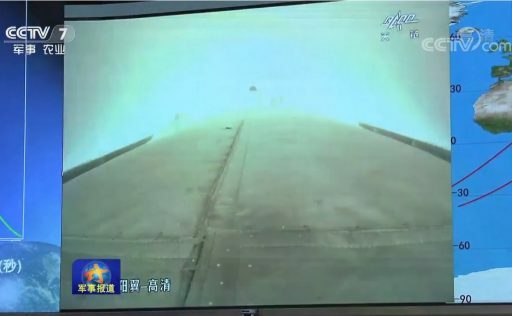 Two days after launch, Tianzhou-1 made a flawless rendezvous with the Tiangong-2 space lab – forming China’s heaviest orbital complex, measuring some 21 meters from tip to tip. Over the next five days, Tianzhou-1 demonstrated its propellant transfer capability using a system comprising four interfaces for fuel, oxidizer and pressurization gas to transfer hypergolic propellants from Tianzhou’s eight tanks into Tiangong’s four tanks. 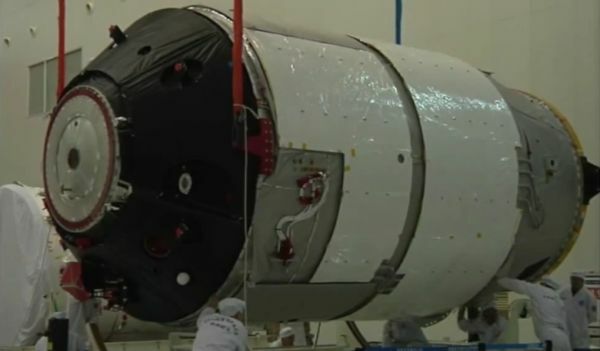 Launching with two metric tons of self-igniting propellants on board, Tianzhou-1 could afford to transfer half its propellant mass to TG-2 over the course of the mission. A second refueling exercise was completed in the first half of June to demonstrate the repeatability of the transfer. 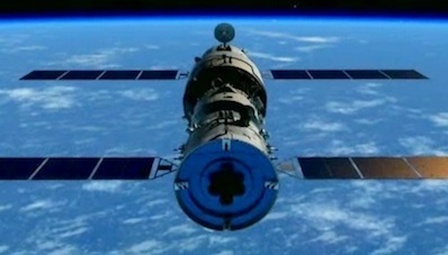 Tianzhou-1 undocked from Tiangong-2 on June 20 for a free-flying and re-rendezvous exercise – retreating to a distance of five Kilometers and flying around the Tiangong-2 spacecraft before re-starting its approach and docking after five hours and 18 minutes apart. 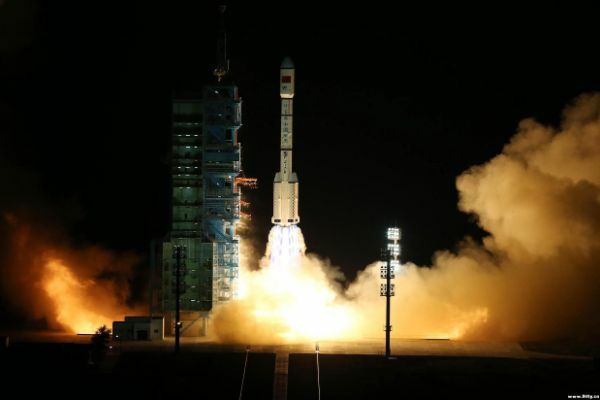 The two spacecraft again parted ways on June 21st for three months of separate operations with Tiangong-2 re-powering its Earth and Space Science payloads and Tianzhou-1 releasing the Silk Road-1 CubeSat and completing a number of internal experiments in the areas of physics and biochemistry. Tianzhou-1 exercised a fast-track rendezvous on September 12, completing a six-and-a-half-hour link-up with Tiangong-2 to begin the final docked phase of the mission and demonstrate a potential express rendezvous technique that could bring future crews to their orbital destination in a matter of hours instead of the two-day trips the three Tiangong crews had to make. 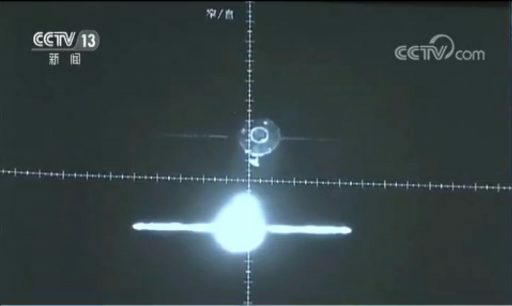 Re-joining Tiangong-2 at 391 Kilometers in altitude, Tianzhou-1 completed its third fluid transfer, topping up the laboratory’s tanks with 250 Kilograms of propellant for an extended mission dedicated to Earth / Space Research as well as testing out the longevity of various systems on the Tiangong-2 vehicle. 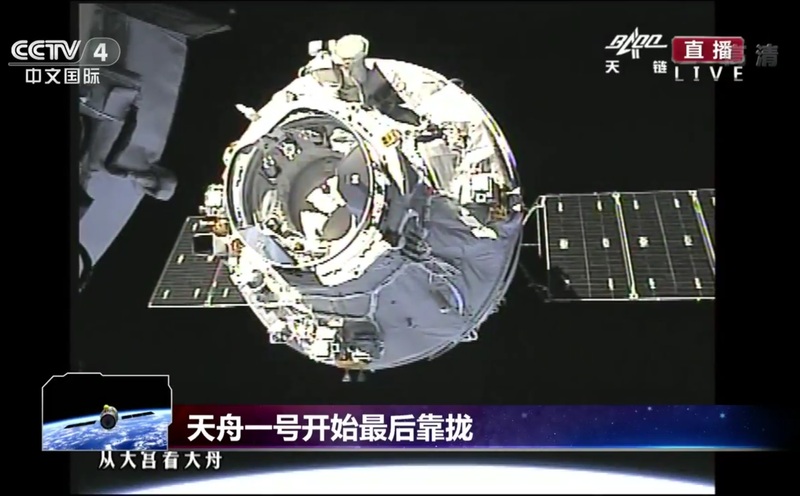 Tianzhou-1 and Tiangong-2 parted ways for good at 8:15 UTC on September 17, marking the start of the final free flight segment of the cargo vehicle’s mission. On Friday, the state-run Xinhua news agency reported, Tianzhou-1 fired up its main engines for a pair of braking maneuvers, first to lower its orbit and again to transition onto a sub-orbital arc for destructive re-entry over a stretch of the Pacific Ocean commonly referred to as Spacecraft Cemetery as many disposable vehicles have found their final resting place in this area. 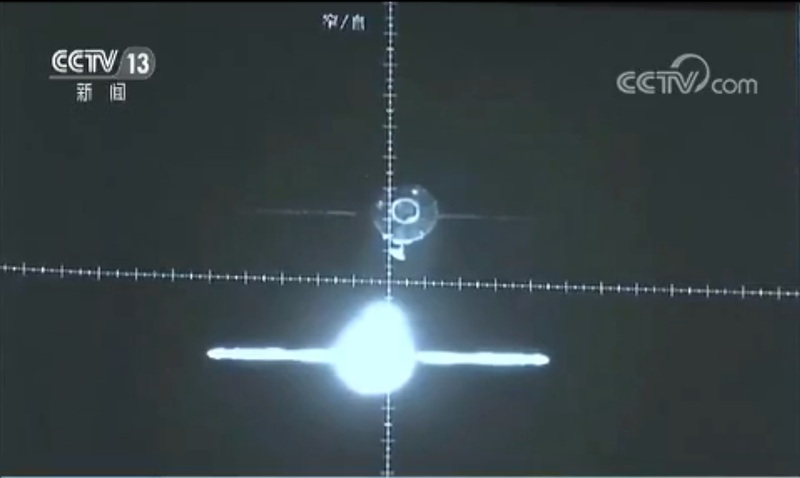 The time of orbital removal was given as 10 UTC. With the conclusion of Project 921-2 Phase 2, China has now demonstrated all elements required for the assembly of the Chinese Space Station (CSS) that will consist of a large Core Module named Tianhe, targeting launch in 2019, and two science modules, Wentian and Mengtian – all of which will launch atop Long March 5 that is among the most powerful rockets currently flying.